I started the Falling Between Us by Ash Parsons and finished it the same day. It was SUCH a compelling, fast read. 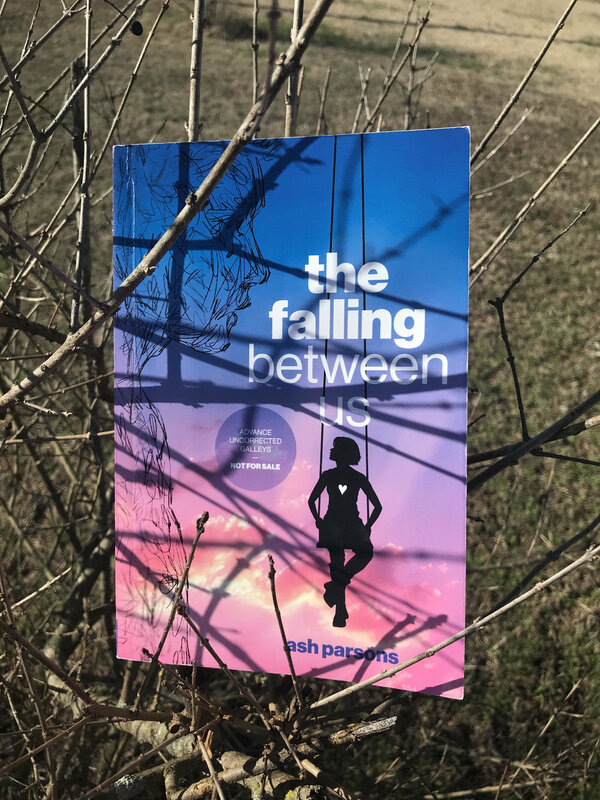 The Falling Between Us is a Young Adult novel about 15 year old Roxanne (Rox) Stuart who lives in a very small town. Her boyfriend Joshua Blackbird becomes an overnight sensation when he posts a performance of himself doing an original song on the internet. In becoming an overnight sensation he also became a teen heart throb. Rox accompanies him on tour and the story is about life on the road, until one day Joshua disappears. Initially, I had very mixed feelings. I have always been a lover of music and teens in novels that have a love and connection to music. The setting of The Falling Between Us got my attention and I was into the plot and characters instantly. The second quarter of the book is where I had a slight issue with the story. The book is said to be appropriate for ages 12 up and/or grade 7 and up. I found some of the content in this particular part may be slightly more mature than a middle schooler might be comfortable reading. Nothing sexually but parts I felt were very dark. I personally thought maybe 14 and/or high schooler and up. I would have been allowed to read this at the age suggested but I was a very mature middle schooler and my parents let me read pretty freely and trusted my judgement. I would recommend this as a good read even to adults who enjoy a good story. What I did enjoy about this second quarter is I kept wondering where the story would be going. The second half of the book was A-MAZE-ING! Everyone around me kept hearing my excited, nervous, and joyous array of emotions. When someone would ask, "What is happening? What is going on?" my responses were either, "Shhh, let me keep reading" or "You will just have to read and find out!" I felt like I was Rox experiencing and living out the book. I cannot say too much as I do not want to spoil anything for anyone who picks up this book-and I highly recommend that you do! I am also a reader who LOVES and enjoys beautiful cover art. The cover design is eye catching and the more I look at it, the more I notice; which is fun. The Falling Between Us is available now! I received an Advanced Uncorrected Galleys version through a giveaway on Goodreads, that was listed by Penguin Teen. All opinions are completely my own.